The United States has been practicing conservation and sustainability long before they became the issues they are today. Decreased soil erosion by 47% per hectare of U.S. soy production. Committed to a voluntary goal to reduce greenhouse gas (GHG) emissions in the production of fluid milk by 25 percent by the year 2022. The Field to Market survey determined that from 1980 – 2015, U.S. Rice improved on measures of resource “efficiency,” with decreases (in per hundredweight) in land use (-39%); soil erosion (-28%); irrigation water (-52%); energy use (-34%); and greenhouse gas emissions (-41%). From 1980 – 2015, U.S. Corn producers achieved declines per unit of production in soil erosion (-58%); irrigation (-46%); energy use (-41%); and greenhouse gas emissions (-31%). On April 27, 1935, the U.S. Congress passed Public Law 74-46, in which it recognized that “the wastage of soil and moisture resources on farm, grazing, and forest lands . . . is a menace to the national welfare.” Thus, for 80 years, the Natural Resources Conservation Service has been a pioneer in conservation, working with landowners to maintain healthy and productive lands, helping not only the environment but U.S. sustainable agriculture. 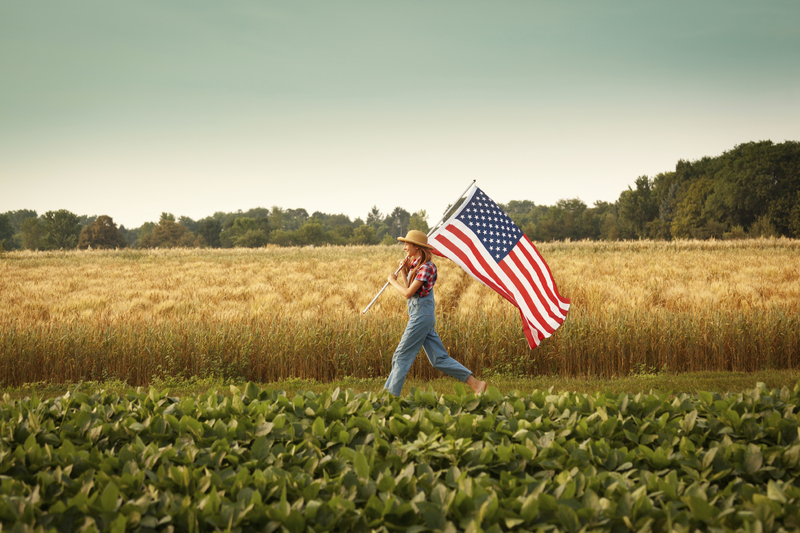 Bonus Fact: Did you know that 99% of all farms in the United States are owned and operated by families? To learn more about the farmers, read our blog series on family farms and watch our featured videos. To learn more about the sustainability practices of various industries please visit our fact sheets page.